Madcap England Men's 1960s Mod Harrington Jacket. 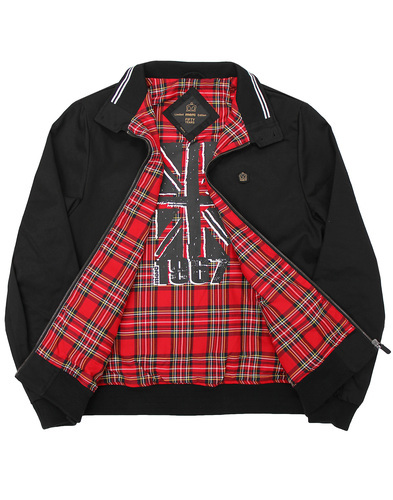 Inspired by 1950s Ivy League couture, Madcap England's Harrington jacket also pays homage to the Mod Revival era, Rude Boy fashions and the heady days of 1990s Britpop Indie style. 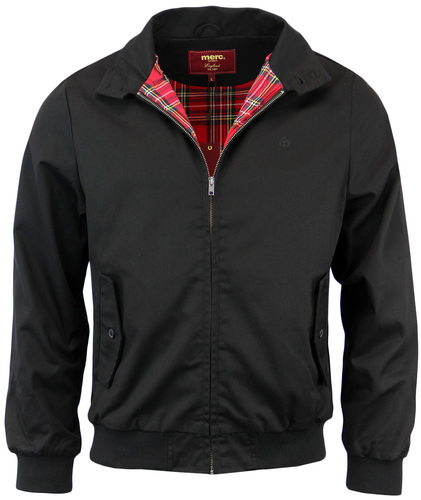 A true fashion icon, the Harrington's timeless style is unrivalled. 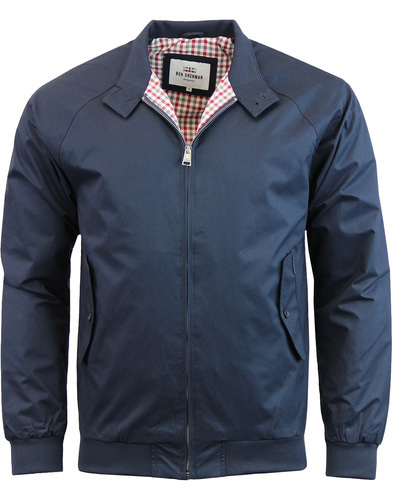 Madcap England's Mod Harrington Jacket incorporates classic double button funnel collar, Retro elasticated trims and cool flap pockets. The Retro check lining adds the finishing touch. A Mod and Ivy League classic as interpreted by Madcap England. 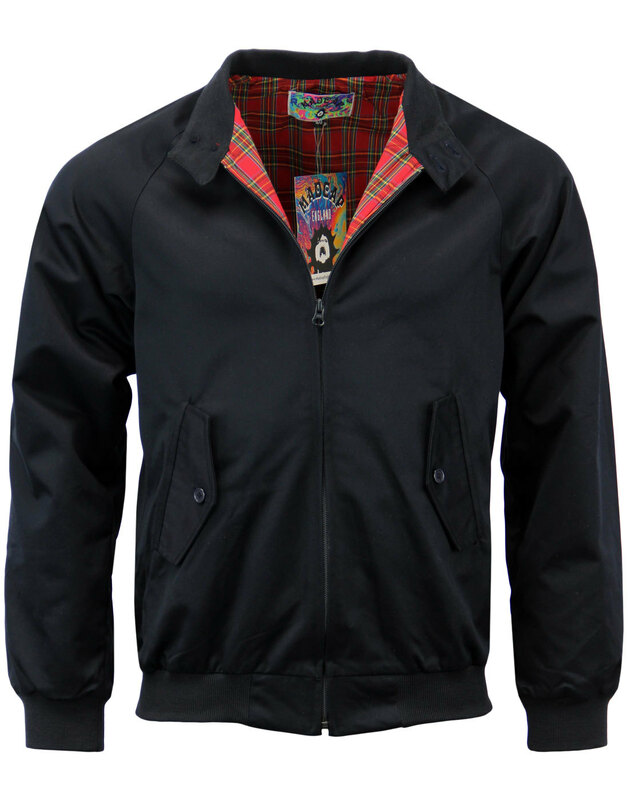 Madcap England Men's 1960s Mod Harrington Jacket in dark navy. 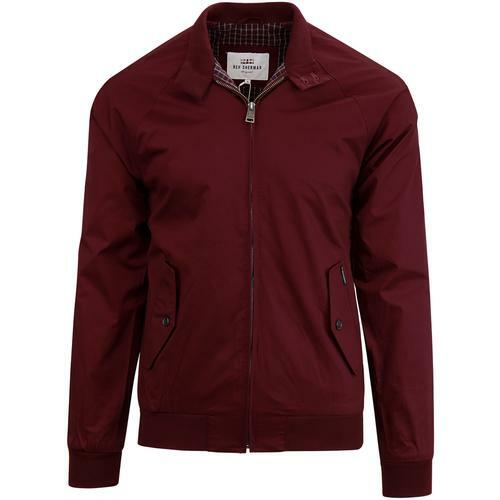 Zip through short blouson style Harrington Jacket with Retro ribbed trims to inner collar, cuffs and hem. Button down flap side pockets, double button funnel neck collar. Retro check lining adds the finishing touch. YKK zipper, tonal button details. The Madcap England Harrington Jacket draws on Mod and Ivy League influences and makes for the perfect Retro scooter outerwear. 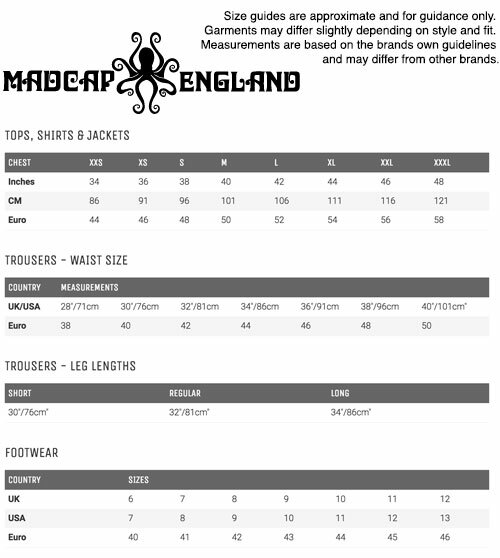 Key Points: Madcap England harrington jacket with double button collar, flap pockets to sides and elasticated trims. Check lined. Composition: Outer: 65% Polyester, 35% Cotton. Lining: 65% Polyester, 35% Cotton. Ribbed trim: 100% Polyester. Care: 40° machine wash. Wash dark colours separately. Dry away from direct heat. Please refer to garment care label for full care instructions.